Rembrandt specialised in oil painting but was also a specialised draftsman and etcher, with many of his simple sketches also attracting considerable attention ever since the end of his career. It is Rembrandt's painting which best underline his exceptional brushwork and bold colours that helped develop art onwards from the 17th century. Rembrandt is known to have been inspired by Italian artists who had dominated the art world in the eras leading up to the time of Rembrandt. For those interested in discovering more about these, you can find Caravaggio here for example, and Caravaggio was one of the biggest influences of all. Alternatively, check out Michelangelo and Leonardo da Vinci. Whilst studying the Italian masters that had gone before, Rembradt was always a little more respectful to his fellow native Dutchmen and preferred to study what had gone before in his native Netherlands rather than looking too much abroad. His time in a prosperous Amersterdam gave him everything he needed to further develop his skills and ideas. Rembrandt started to teach others of his skills once he became confortable with his own skills and would continue to teach others for the rest of his career as he shifted his location around the Netherlands, which was to always be his prefered country. As well as commissioned portraits, Rembrandt is known to have completed around 50 to 60 self-portraits which have also attracted great study. The paintings serve as examples of his great skills but also serve as a guide to his mood at the point of each painting. The artist achieved the reputation as the finest artist in Holland, which was a major accolade at such an exceptional time for it's arts. This reputation led to considerable numbers of commissions of significant people of that time, which helped him to finance his career and take financial concerns away for good. Fortunately for Rembrandt, he also enjoyed and excelled at portrait painting whilst others have traditionally had to revert to it against the preferences because of it's ability to finance an artist's career. A key moment in Rembrandt's career was when he lodged with Hendrick van Uylenburgh who played an important role in his life for two very different reasons. Firstly, he was able to back the artist more than others had done as he held more open minded opinions on what "good" art involved and how it would develop in the future. It was also his young cousin Saskia who was incredibly to become the wife of Rembrandt in time, with her family connection also ensuring that she saw the qualities of her husband's work and encouraged him when others were too sterile in taste. One of Rembrandt's best techniques was from Caravaggio's initial methods of combining patches of colour, light and shadow in complex ways to help to soften obvious expressions to give a more natural look that seemed more real and intriguing as a result. Return of the Prodigal Son is the best known work from the career of Rembrandt and makes an excellent choice as a framed art print for anyone looking to add a classic Baroque work to their wall. The majestic style used by Rembrandt makes a large, detailed frame the best choice to match up with any reproduction, and giclees tend to offer the most accurate reproductions of colour. The links provided alongside the images on this page take you to our recommended Art print retailer, Art.com, who offer a great framing service plus the best prices in the industry for unframed prints, posters, stretched canvases and lithographs. The Return of the Prodigal Son features a typically religious subject which was very common both for Rembrandt and also for other artists from the Dutch Golden Age. Alongside religious paintings, he also regularly produced portraits at a time when landscape painting had yet to reach the mainstream art world. The Mill is on display at the National Gallery of Art in Washington DC, USA. There has been controversy over whether this painting was actually completed by Rembrandt, but the general concensus remains to be that it was. The use of windmills within art gives a perfect setting for a Dutch-themed landscape. These beautiful buildings have proven a popular choices for artists looking to capture traditional architecture alongside a well planned countryside scene. Several other Dutch artists such as Piet Mondrian, Pieter Bruegel, Vermeer and also Vincent van Gogh have taken on this iconic subject in their work from various regions of the Netherlands. The Mill by Rembrandt differs from those of other artists mentioned here because of the dark setting in which this artist placed most of his famous paintings. Storm on the Sea of Galilee, above, by Rembrandt marks an unusual point in his career where he went away from the typical religious depictions and portraits which were more commonplace. It features a mystical scene a boat fights valiantly against a heavy storm. It is an impressive painting which benefits when seen in person, so the full detail can be appreciated. Storm on the Sea of Galilee is Rembrandt's best seascape and sits well alongside other famous seascape paintings, such as those by JMW Turner in the Romanticist period that followed many years later. Those interested in Turner prints can find them here. Another famous seascape artist is Winslow Homer, an American who also followed a long time after Rembrandt. Thomas Jefferson, above, was always going to be one of the best remembered portraits from Rembrandt's career, because of the importance of the individual but there is also plenty of academic interest in the skilled brushworks that Rembrandt instilled into the works to keep others interested. It is always going to be a popular painting for it's subject and ranks as the best known Jefferson portrait because of the quality of it, and the considerable fame that Rembrandt has achieved. Night Watch underlined the typical frustrations of any artist skilled up before their time. Night Watch received criticism from those who had commissioned it and demanded significant alterations which the painter refused, confident in the qualities of what he had produced. These claims fell on death ears, however, and as such the commissioners were left unhappy and Rembrandt's reputation was damaged, despite having created what most nowadays accept was a masterpiece. For those interested in the Night Watch, and appreciate it's qualities more than those who commissioned it at the time, you can buy beautiful print reproductions of it from the links above, using the excellent Art.com Rembrandt gallery that includes many other prints and sketches from his career. Anatomy Lesson of Dr Nicolaes Tulp is an unusual choice for an artist to take on, but this title has become one of Rembrandt's best known works. In many ways, it is quite an amusing scene that the artist captures, and seems the sort of painting that one will regularly revisit and discover something new with so many characters included for the eye to focus on. What better painting to show off Rembrandt's interest in religious depictions and portraits than his Head of Christ painting? It features an incredibly personal picture of this religious icon and it is hard to remember a painting of Christ in the same style as this. Many Christians enjoy this painting as it represents something very important to them but also is a skilled work by a talented artist making it an ideal choice. The periods of Renaissance and Baroque art came at a time when religion was a massive factor throughout the western world, more than it is so today. As such, it is unsurprising that most artists of this time were not only interested in reflecting religion within their art, but also those interested in commissing them were also after religious portraits. Additional to this was the fact that most wealth was held by religious institutions, meaning that they could dictate the career paths of the major artists. Jewish Bride was completed in 1667 and is on display in the Rijksmuseum, Amsterdam. It is not known who the couple in this painting are, but there have been many different suggestions over the centuries since Rembrandt completed this famous painting. Some have claimed that it is the artist's son with bride, whilst others believe it may have been other notable couples from that period in the Dutch capital. Whoever the couple, the painter produced a tender, romantic feeling in this work and this is considered to be it's most impressive quality. For this reason it has also become respected as one of the best achievements by Rembrandt from all the art that he produced across the 17 the century. Woman Taken in Adultery offers up another religious scene from Rembrandt and captures an emotional moment with great detail with considerable attention to the background as well as the foreground, with many people covering the painting. Rembrandt again darkens the less important areas of the scene to draw the eye immediately to what for him was important. Man with Helmet illustrates Rembrandt's great use of colour and lighting in this portrait which is amongst his most respected, academically and with the art public. If you wish to buy an art print reproduction of Man with Helmet then please select from the links above which will take you to the Art.com Rembrandt gallery where you can buy with confidence. Man with Helmet is typical of Rembrandt's style in using very dark backgrounds to help the main focus of the painting stand out as much as possible. Other notable portraits include Thomas Jefferson and Head of Christ. In all, Rembrandt's career totalled 600 paintings, 300 etchings, and 1,400 drawings which helped him to build up a massive fanbase in the modern day. The best of these included St. Paul in Prison, Supper at Emmaus, The Anatomy Lesson of Dr. Nicolaes Tulp, Young Girl at an Open Half-Door, The Mill, Aristotle Contemplating the Bust of Homer, The Return of the Prodigal Son and The Syndics of the Drapers' Guild. Rembrandt's works are generally categorised by the main periods of his career, which covers pre-1639, 1640-49, 1650-59 and 1660-69, with 1669 marking the end. Often there is a specific category left open for his portraits and also self-portraits which very much receive attention in their own right. Rembrandt prints are amongst the best from the Dutch Golden Age, which is a famous period of Dutch art involving traditional Baroque paintings. Rembrandt remains one of the most important Dutch artist of all time, as well as the most influential from the 17th century. This website introduces you to his finest oil paintings and offers trusted places to buy print reproductions of them online. There is also a full gallery covering almost any Rembrandt print that you could possibly wish to buy. A list of his most famous paintings starts with the Return of the Prodigal Son, which you can see below with further information on it available underneath. Further down the page are Man with Helmet, Storm on the Sea of Galilee, Thomas Jefferson, Woman Taken in Adultery, Anatomy Lesson of Dr Nicolaes Tulp, Head of Christ and Night Watch. Rembrandt Prints are the best form of the Dutch Golden Age of painting and make an ideal choice for those looking to buy prints for their homes. This website covers Rembrandt's prints in full and offers suitable retailers who offer high quality art prints with friendly, high class customer services to back it up. Rembrandt van Rijn is the full name of an artist who is perhaps the most famous Dutch painter ever, or atleast second only to Vincent Van Gogh. Rembrandt's contributions of course came much earlier and his paintings are some of the most critical from the renaissance and baroque periods. Whilst Dutch art took great influences from the early achievements of Italian artists Rembrandt produced his own innovative ideas which remain today. 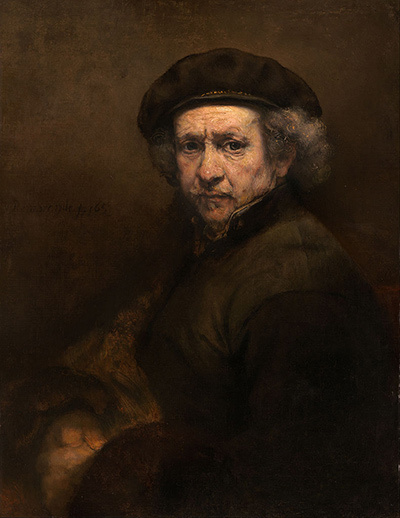 Rembrandt himself suffered an unusual set of issues with his eyesight that is believed to be the reason for his truly unique style and techniques that were partly self-taught and entirely self-developed. The success of this artist has ensured that his paintings are strewn all across Europe and America as one country after another try to acquire his works in order to instantly raise it's profile overnight. Rembrandt prints predominantly fall into the fields of portraits and religious illustrations as these were his best paintings, and remain his strongest legacy. The Dutch Golden Age, of which Rembrandt was an integral member, remains the country's most significant contribution to the art world and you can see a list of others artists from this art movement below who also have prints available from the links above. By clicking on the photo of Rembrandt's Return of the Prodigal Son above will take you through where you can order that online, from our recommended art retailer. Rembrandt oil paintings are also available as tapestries, stretched canvases plus unframed or framed paintings available. Disclaimer: www.Rembrandt-van-Rijn.com is a fan website dedicated to the paintings and art prints produced by famous Dutch artist Rembrandt, and is in no way an official website for painter Rembrandt, nor does it claim to be. The Estate of Rembrandt and their presence hold all necessary copyrights and licences for all of his paintings and other works. All prints, paintings and photos included in www.Rembrandt-van-Rijn.com are provided as an affiliate to Art.com who hold necessary permissions.